Universal Monsters Wolfman-- in black and white-- just the way you remember! It's a howling-good Wolfman Action Figure! That wonderful series of Universal Monsters movies revolutionized film and gave us some of the most iconic characters in motion-picture history. Now, Diamond Select returns the favor by giving the Universal Monsters revolutionary treatment! 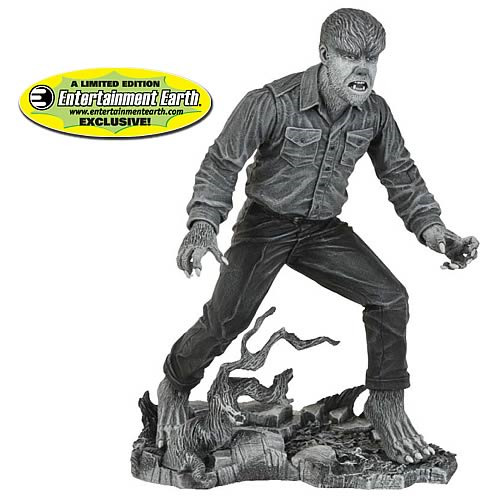 Celebrate the classic 1941 The Wolf Man movie with this magnificent Wolfman Action Figure. It's a howling-good limited edition that's particularly striking in film-accurate black and white… just as you remember! The action figure is 7-inch scale, in line with other Universal Monsters action figures from Diamond Select (sold separately).